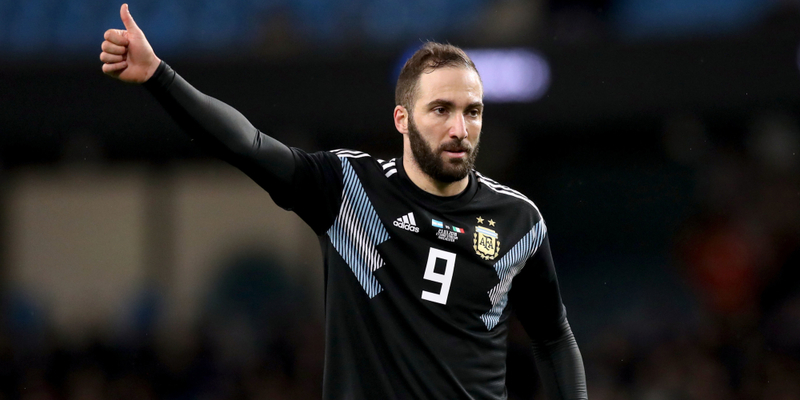 The 31-year-old Argentina striker has joined on a loan deal until the end of the season, with Chelsea holding options to extend his stay if it is a success. Higuain, who could make his debut in Sunday’s FA Cup fourth-round tie with Sheffield Wednesday at Stamford Bridge, has played in Spain and Italy, enjoying the best season of his career under Chelsea boss Maurizio Sarri. Higuain scored 36 goals in 35 Serie A games for Sarri’s Napoli in 2015-16 and Blues assistant boss Gianfranco Zola reckons the striker can deliver in English football. “I’m sure there are big expectations. I’m also sure Gonzalo is used to it,” Zola said. “He’s played for big clubs: Real Madrid, Juventus, Napoli. I’m sure he can handle these expectations. He’s always produced good numbers wherever he’s been. “He’s a player who can score in many ways so we hope that he can bring his qualities to this team – at this moment it is very much necessary. “He’s coming late, but he’s coming in a team that plays a system he knows very well, so this is a big advantage. Eden Hazard is also relishing the chance to play alongside Higuain. “When you see his career he has done it everywhere, Madrid, Napoli and Juventus,” Hazard said. reaction in Thursday’s Carabao Cup semi-final with Tottenham. The Blues won on the night 2-1, earning a 2-2 aggregate draw, and progressed on penalties to the February 24 final with Manchester City. “Sometimes the criticism is not necessarily a negative thing,” Zola added. “We don’t question that these players can achieve peak performances, like they did yesterday. “What we’re trying to achieve here is consistency in performances, because it’s the nature of the league.